I am a licensed salesperson focused primarily on residential listings. Born and raised in Fairbury, I am familiar with the area and all it has to offer. I graduated from the University of Nebraska in Lincoln, where I continued to live for 20 years where I acquired extensive customer service, sales, and insurance experience. 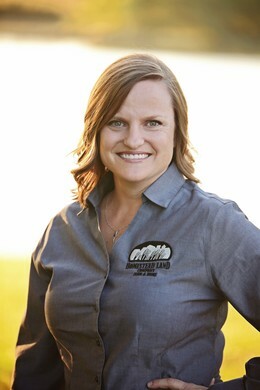 I moved back to Fairbury in 2017 with my husband and two children and began working for Homestead Land Company in the Fairbury office. Thinking of buying or selling your residential property? Contact me today!